Following on from the successful KIMO meetings held in Noordwijk in October, the International Secretariat has been working hard on many of the action points that were agreed upon. We have been following up recruitment opportunities across the North Sea and Baltic Sea regions and have created a ‘Twin Town’ database to identify potential KIMO recruits who may already have a connection to an existing KIMO member. The results have been interesting with some potential recruits being twinned with up to three current KIMO members. It is hoped that the existing connections will serve as an avenue for opening dialogue with other municipalities about the benefits of joining KIMO. We are in the process of sourcing various promotional materials with strong KIMO branding which should help to make us more visible and memorable at networking events. 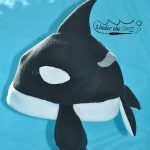 Don’t worry – we’ve not ordered any whale-shaped head-gear! 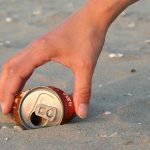 As mentioned in the previous newsletter, KIMO has been asked by OSPAR to provide information on current beach cleaning methods used by our members for the purpose of establishing best practices guidelines for the 15 national governments that cooperate within OSPAR. Good progress has been made in collecting these questionnaires and many thanks to the municipalities who have responded thus far. KIMO has been represented at a number of meetings over the last few months. Thanks to a kind grant from World Animal Protection, Rick Nickerson was able to represent KIMO at the AGM for the Global Ghost Gear Initiative in Miami during October. A report on this meeting will be shared on the KIMO website in due course. KIMO has once again been contracted to coordinate the Intersessional Correspondence Group on Marine Litter (ICGML) meetings on behalf of OSPAR. The most recent ICGML meeting took place in Copenhagen in November with Rick Nickerson facilitating the meeting and Arabelle Bentley and Ryan Metcalfe both in attendance. Arabelle also attended the AGM for one of our partner organisations, Nuclear Free Local Authorities (NFLA), during November where she was able to make some good contacts, with the possibility of gaining new members in Ireland. Reports from all the meetings attended will be posted on the website in due course. The presentations from the 2016 KIMO Conference are now available to download in the members area of the website. I was not able to source presentations for all of the speakers so unfortunately you will not be able to look at pictures of space during work time. The translation of the KIMO International website is well under way with Lars Hopman of KIMO Netherlands and Belgium helping to translate the site into Dutch. I have approached some volunteer translators online to help with the other KIMO languages and am awaiting a response. If anyone across the network would like to help translate the website into Danish, Swedish or German, please get in touch with the secretariat. As we enter the build-up to Christmas, I wish you all a joyous festive season.